As visual projections have become an increasingly important part of a modern live event increasing attention has been paid to the quality and originality of the material shown and to the degree to which it is a part of the live performance. It is in these two areas that Subvision have established there reputation. Subvision created all the graphics for this product launch by Creative Labs. The graphics sequences were designed, storyboarded and produced in house. 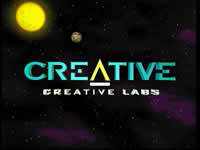 The animation showed the evolution of sound cards and games graphics culminating in the new Creative Labs card. Several Creative Labs stings were also animated and the whole product edited in house dropping in graphics from various games. The finished project was shown at the Creative Labs product launch in Athens. 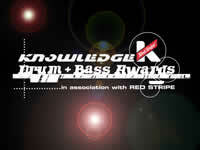 The Drum 'n' Bass Awards are a perfect example of Subvisions integrated approach. Subvision produced all the graphics for the awards ceremony, provided video projection equipment and live mixing and camera work during the event. The service proved so successful that Subvision provided the production for the second Awards which included performances from recent charts hits Kosheen. Subvision were commissioned to provided graphics for this highly successful House duo. Half an hour of animation was produced and specifically designed to be mixed with live footage from several cameras on stage. 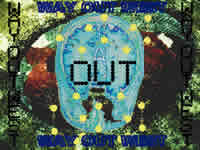 Certain sequences were synchronised with the music but as the band liked to improvise much of the visuals were mixed on the fly. This allowed the audience to experience a unique show each night. A crew from Subvision were sent with the band around Britain and Europe providing all the production and equipment.